Step 1 Heat the oven to 350 degrees. Grease the bottoms only of 2 (8x4-inch) loaf pans or 1 (9x5-inch) loaf pan. Step 2 Mix the sugar and butter in a large bowl. Stir in the eggs. Add the bananas, buttermilk and vanilla and stir until smooth. Stir in the flour, baking powder, salt and baking soda just until the flour is moistened. Stir in the nuts. Pour the batter into the pans and smooth the tops. In Recipes-list.com we have selected the most viewed recipes from category - Breads Breakfasts Vegetarian . Enjoy the best recipes specially selected for you! 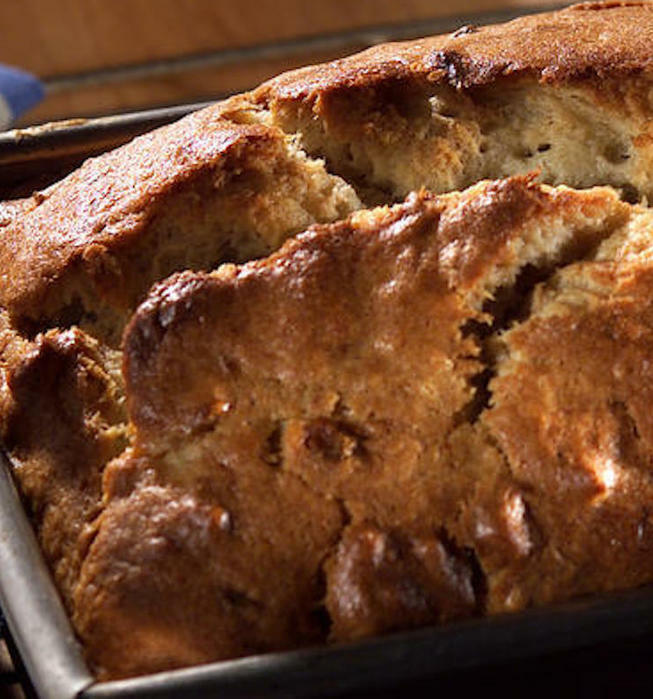 Banana-Nut Bread is the right choice that will satisfy all your claims.